Cryptocurrencies have certainly come a long way since the Bitcoin was first created. The world was witness to their tumultuous journey and is now witnessing their spectacular success. It isn’t just investments that they seem to have taken over, but have in fact become a huge niche in their own right. What started as a mere experiment of sorts by the creator of the Bitcoins, has now expanded and inflated to take the shape of one of the most leading industries of today. Cryptocurrencies have, in fact, become so huge that they have managed to diverge into a number of profitable avenues, all of which are equally satisfying to deal in and also rewarding to the fullest.For example, for all those who do not wish to invest their money in Bitcoins or any other Altcoins simply because they are scared of the losses it might bring, or maybe because they lack the funds to actually do so, there is another great alternative that doesn’t directly ask for any upfront investments. Cryptocurrency mining is one such trade that only requires the investor to buy a decent mining rig and set it up at a suitable location. Once you have gone ahead and done that, all you need to do is watch out for those energy bills and noise concerns the rig might bring. A well-endowed mining rig with a decent hash rate is capable enough to bring about great returns for the user, no matter what the type of cryptocurrency you are dealing with.But all that is just about the different ways in which you can gain crypto coins, what about the part that comes after? Is earning crypto coins all there is to it? Actually no, there is one more thing you need to worry about, and that is storage. Building huge reserves of cryptocurrencies is all well and good until you realize that you don’t actually have a place to store them. To save yourself from such a situation, we recommend you start hunting for a quality Bitcoin wallet for yourself at the earliest. These ‘wallets’ that we talk about are specially designated holding platforms built exclusively for crypto coins and work wonderfully when it comes to keeping your stash secure.Now while there are a lot of options available in the market, we have decided to make the job a little easier for you, by reviewing one fine participant of the race, the KeepKey hardware wallet. 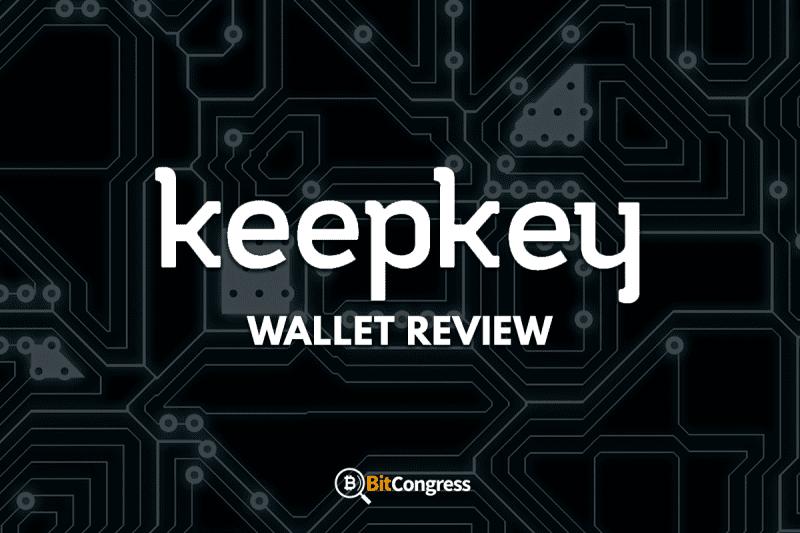 Now we will get into more of what goes into wallet selection and what exactly do we mean by the word ‘hardware’, but first, let us delve a little deeper into what actually goes behind making KeepKey a fantastic choice for you. KeepKey happens to be a hardware wallet meant to store crypto coins. The term hardware here refers to it being an actual physical device you can carry around with you, just like a real-world wallet. Hardware wallets are increasingly gaining popularity due to their tendency to keep your cryptocurrency safe and secure from any external attacks. The reason why they work so brilliantly is that they tend to be disconnected from the internet. This automatically gives them the immunity from viruses or hacking attempts. Software wallets, on the other hand, are more prone to the attempts of hackers and cyber thieves, making them the less feasible option for large values of cryptocurrencies.Now since KeepKey is a physical device, the one thing people are going to notice first of all about it is the appearance. The wallet comes with a rather sleek and stylish design, and it sports a large display screen for easy viewing. This actually happens to be a great improvement from earlier devices since wallets like the Ledger Nano S actually sport a tiny screen with a minuscule text which is intensely difficult to read. But with the large display screen on KeepKey, reading account information and confirming transactions will be easier than ever before. 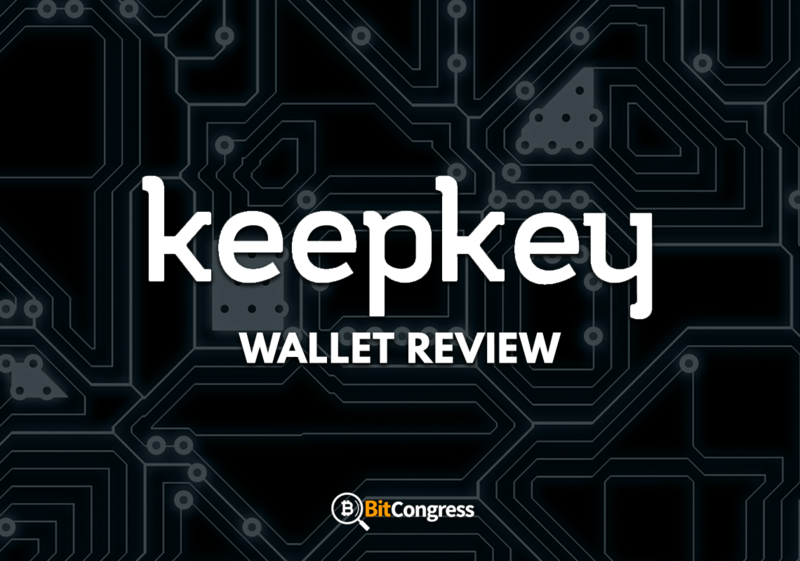 Truly, the manufacturers seem to have invested a great deal of time in making the device appeal to audiences.As per the features that make KeepKey such a great choice among cryptocurrency wallets, the first thing that comes to mind is its ability to hold multiple types of coins and currencies. At present, the wallet is capable of holding Bitcoin, Ethereum, Litecoin, and Dash among others. The diversity displayed by KeepKey in this regard has taken it a long way in catching the public eye and catapulting it to fame. Although if there is one thing that slightly irks the mind when you look at the list is the absence of ERC-20 tokens. The fact is, that ERC-20 tokens are in fact supported on the wallet. The only problem is that the client-side software needed to actually use those coins on the wallet hasn’t yet been built. Now while this is a problem that the developers have recognized, they have also gone on record saying that the software will be updated soon, although a firm date hasn’t been finalized yet. Additionally, KeepKey was recently acquired by ShapeShift, which is nothing but great news for the users of the wallet. This is because now they get the flexibility to actually exchange cryptocurrencies or trade them for another from the wallet itself. The need for a separate trading or exchange platform has completely been eliminated.To put it simply, the competition in the cryptocurrency wallet market is fierce. With such great devices as the Trezor wallet and the Ledger Nano S out in the market, it becomes difficult for any other wallet to truly leave a mark on people’s minds. And yet, with their continuous stream of updates and innovative features, the makers of KeepKey have managed to get people to notice their product too. Although still not as popular as the two mentioned before, KeepKey is indeed steadily climbing the popularity charts and will soon find itself at par with the best in the market. With over a lot of positive reviews online, it isn’t that hard to guess that KeepKey happens to be a crowd favorite. With its intuitive range of feature and gorgeous looks, it has managed to sneak past the competition into people’s minds. Most of the positive reviews you will see will focus on the great design, readable display and the ease of usage. Additionally, if there is one other aspect of the device that is gathering praises from all over it is their customer response team. You can’t make a good electronic device without setting up a functional and capable customer service team. Faults and complaints are healthy and are bound to happen, but when they do there needs to be someone to listen to a customer’s complaints and solve their issues at the earliest. And KeepKey’s response team has managed to do just that.However, no good thing can exist without a little smidge of the bad, and the same is the case with KeepKey. 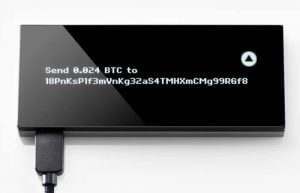 Apart from the many wondrous features on the device, there have also been reports of a negative nature that the KeepKey wallets ceased to function as well post the Bitcoin Cash fork. After the event, apparently, there were issues with the firmware and software of the device leading them to crash at times and generally act buggy all the time. These effects were especially heightened when trying to send coins. Additionally, some customers have reported feeling restricted with the wallet since a lot of the things are completely automated. People have disliked the fact that limitations have been placed on the recovery seed and unchangeable fees have been automatically set.The one final complaint that seems to exist almost unanimously among all customer groups is the fact that the KeepKey wallet is a little expensive priced at $129, especially when you compare it to some of its closest competitors. KeepKey is pretty flexible in the sense that it can actually be used on either one of Mac, Windows or Linux systems. If that is not enough, there is also a Google Chrome extension that you can use it with.To begin, download the client software from the Chrome app store and subsequently plug the device into the system with a USB cable. You will find the client software quite easy to use and with an interface that pretty self-explanatory, straightforward and crystal clear in its approach. There is step by step instructions on a lot of stuff such as sending or receiving funds which are actually pretty great for first-time users. As per authentication procedures and confirmations of transactions, they are done on the physical device itself by virtue of the large and clear display screen. KeepKey is a well-trusted company in the market right now. They have been around for quite some time and the CTO of the company, Kenneth Hodler is a well-respected person in the community. This reputable organization strives to maintain all the security standards and quality conventions which make for great devices and even greater brands. Additionally, all the firmware of the devices they manufacture is one hundred percent open source, meaning anyone can check out their source code, and thus the possibility of theft of private keys or loopholes in this regard is completely eliminated. As per their shipping and packaging standards, they make use of tamper-proof shrink wrap to package the product before sending it over to shipping, leading to the most minimum amount of shipping damage and absolutely no way to open the package without tampering with the security seal. Even if you seem to have lost your physical KeepKey device, you have no reason to panic since all of your funds remain safe behind a good number of security protocols which can’t be broken into without prior knowledge of your security pin. However, the only way for you to access your funds if you happen to lose your wallet is by remembering the recovery sentence. Make sure that you write it down somewhere safe and out of reach of those you don’t trust in case something like this does manage to happen. As detailed earlier, KeepKey boasts of a stellar customer service team which strives to maintain their quality conventions and uphold customer satisfaction standards. They actually have a dedicated customer response section on their website as well, something which a lot of other services could learn from. Additionally, there are a bunch of articles on their website which make it easier for the average user to navigate through the operations of a KeepKey wallet. These articles cover all the basic functionalities and serve as a great beginner’s guide for first-time users of the device. From common tips and questions to step by step instructions, you will find it all there. Topics like Initialization and Adding an Account have been given special attention and covered pretty much in depth leaving no room for further questions or doubts. However, if there are any, feel free to contact their customer service team via phone or email and you will get a speedy resolution to your problem. Any support questions you have will be promptly received via email. Support tickets are first generated which are then forwarded to the appropriate department. As per most reviewers, problems are generally resolved within two days of making the complaint. KeepKey is great. Even among all the competition and the sheer popularity of Trezor and Ledger that it had to compete it, it did manage to stand its ground and make its way to a good start and a steady customer base. 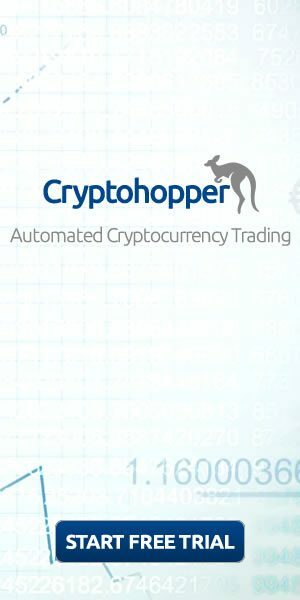 With the intuitive design and great features, it does manage to provide a healthy respite from the market dominion of the aforementioned models, and will indeed prove to be a fine addition to your cryptocurrency setup. Hashing24 Review - Are They Good Enough?